After a successful launch edition in 2017, The Big 5 Solar will return under the Patronage of the Ministry of Energy & Industry, United Arab Emirates, to showcase solar energy solutions for the construction industry at Dubai World Trade Centre from 26-29 November 2018. As part of The Big 5, the largest construction event in the Middle East, The Big 5 Solar will display the latest solar innovations and solutions from top brands, offer free access to industry leading education sessions, and host the high-profile Global Solar Leaders’ Summit. 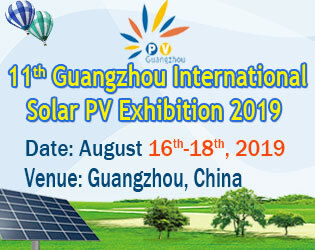 The Big 5 Solar will display the latest in solar innovations for the construction industry across four of the most prominent product sectors including: Photovoltaics (PV), Solar Thermal Technologies, Energy Storage, and Solar Technology and Related Services. Aside from off-grid air conditioning solutions, the company will showcase mixed-grid units at The Big 5 Solar that will generate zero cost during daylight, only using power in the evening. With off-grid solar solutions becoming increasingly popular in the construction industry, The Big 5 Solar will showcase many such products. Enerray for example operates in the global off grid market through the company Plug the Sun, a firm capable to offer customizable solutions and innovative and unique products for rural electrification and urban living. More than just an exhibition, The Big 5 Solar will also bring together the industries’ pioneers to host four days of free-to-attend and CPD (continuing professional development) certified education sessions. The Solar Talks will cover popular topics from Commercial and Industrial Solar Growth, Building Integrated Photovoltaics (BiPV), the latest Solar Hybrid Systems in the UAE market and the latest in Technological Innovations in Solar Panel Manufacturing. On 27th November 2018, Belén Gallego, CEO & Co-Founder at ATA Insights, will sit with over 25 high-profile regional and international speakers at the Global Solar Leaders’ Summit: H.E. Dr. Matar Al Neyadi, Undersecretary at Ministry of Energy (UAE), Turki Al Shehri, Head of Renewable Energy Project Development Office at Ministry Of Energy, Industry & Mineral Resources (Saudi Arabia), Rida Mulyana, Indonesian Ministry Of Energy And Mineral Resources – Director General Of New, Renewable Energy And Energy Conservation, and Rabia Ferroukhi, Head of Policy Unit And Deputy Director of Knowledge, Policy And Finance at International Renewable Energy Agency, Paddy Padmanathan, CEO for Acwa Power (Saudi Arabia), and more. 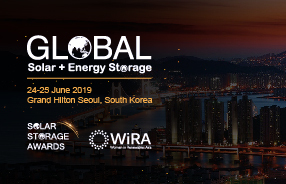 Under the topical theme ‘Solar Solutions for Construction’, the 4th edition of the Global Solar Leaders’ Summit will address, assess and analyze the way forward for key players in the solar and construction industries. The Big 5 Solar returns with existing support from leading associations including the Middle East Solar Industry Association (MESIA) and Clean Energy Business Council (CEBC), and welcomes fresh backing from industry heavyweights: GCC Association for Renewable Energy and Sustainability – Green Gulf, Architectural Solar Association – ASA, BPVA – British Photovoltaic Association, Solar GCC Alliance, Jinko Solar, Campion, S5, We Link Group, Sumec, Noor Solar, Sunew, Verditek, Heliatek, Enviro-Smart, NeOn Energy, and Enerray. Organised by dmg events, The Big 5 Solar is free to attend and will run from 11AM to 7PM daily at the Dubai World Trade Centre. The event runs as part of The Big 5, alongside The Big 5 Heavy, Middle East Concrete, HVACR Expo, and Urban Design & Landscaping Expo, offering a one-stop shop for all things construction from concept through to design. Source: Press Release by dmg events. Photo Credit: © dmg events.